​On top of our weekly lessons in Dorking , we organise regular parties and workshops in the area too. Keep an eye on this section for more information! Everyone is welcome to join us to have fun and support the group!. If you like cuban music and enjoy dancing casino or rueda you really can't miss out! The best cuban music, a nice bunch of friendly dancers and a large wooden dancefloor will be waiting for you! - Subject: "Party + (your name/s)"
Car park for 12-15 spaces and a selection of drinks will be available on the night. Thank you all for making this possible! We will be delighted to see all of you there again!! Spread the word and let's make of this another unforgettable party night! Can't wait! Contact us if you have any questions! See you soon salseros!!! 2019: UK & INTERNATIONAL DANCING TRIPS in which we will be teaching! 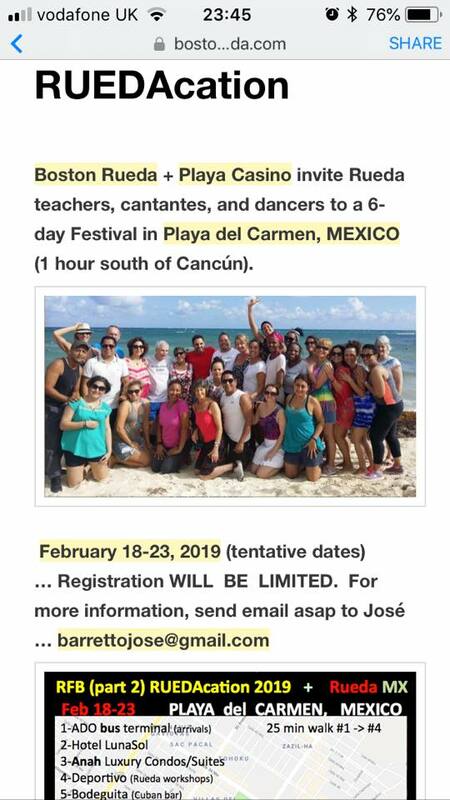 Come and enjoy 3 days full of workshops and master classes, Rueda shows and performances, Gala Dinner and Late Parties with some of your favourite national and International Rueda teachers and DJ’s. More info: get in touch ('CONTACT US' TAB) for more info!